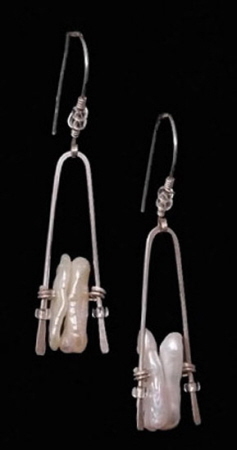 Freshwater pearls .... Flat, narrow and approximately 3/4 inch in length. High in luster and a shimmering surface quality. Light as a feather and simple in design. 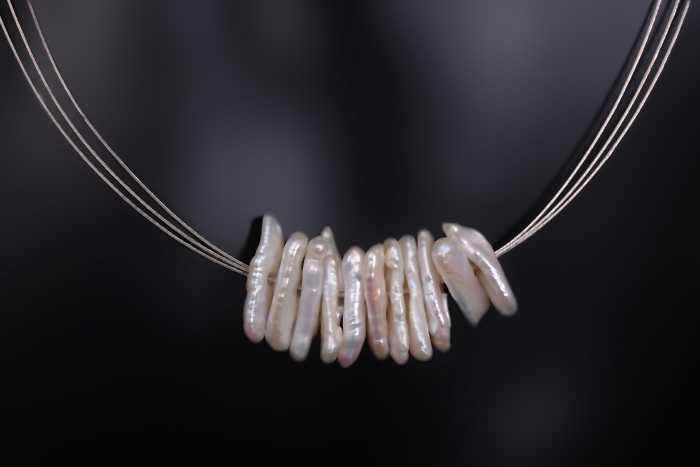 Each pearl has been drilled precisely to float freely on this 3 strand necklace. 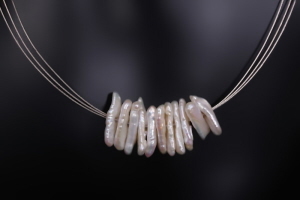 Eleven pearls, for a total width of 1½ inches. 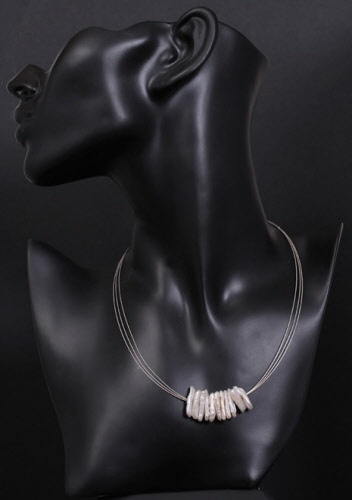 Multi-strand sterling silver necklace is delicately made and just 16¾ inches in length. Also available in gold vermeil (sterling silver plated in gold). The gold plating used in this multi-strand necklace is 3 microns thick of 18kt gold. Must select necklace when ordering. Earrings to match are available as an additional purchase and measure 2⅜ inches from top of earwire to bottom of dangle, ~⅝ inch in width.